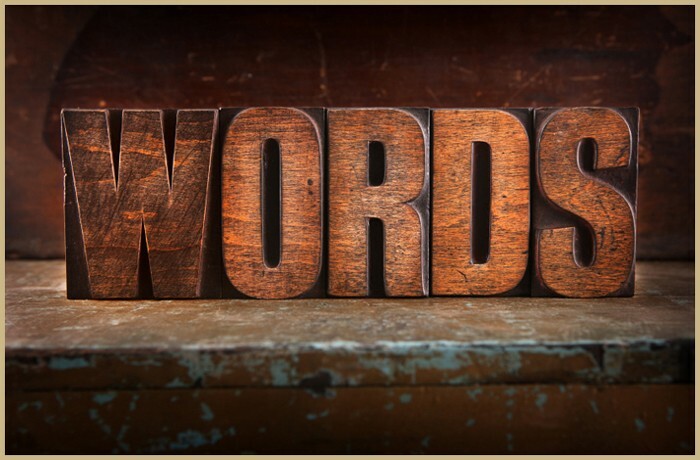 Writers are not only concerned with what words to use, but also, how many. In writing conferences, creative courses and in online forums, a beginning writer will invariably ask for a clear definition of what is acceptable in any particular genre. This in itself can prove tricky because contrary to the belief in some quarters, word count is not a rule, it is only ever a guideline. To further complicate the clarification, a minority of publishers have their own specifications on what is acceptable for submission. So it is of no wonder that aspiring writers not au fait with how to edit their manuscript will become confused at just how ruthless they need to be with their final draft. The more obstinate writers keen to trail blaze their own approach will claim rules are there to be broken. There is some truth to this argument. These submission rules can be broken. This is not to say that all authors now do so. The majority still use the same guidelines as beginning writers, because not to, is disrespectful to their publishing colleagues who set them. The guidelines are there for a reason: economics. Not just managing the economy of word usage, but of greater importance, it is more economical to a publishing house to publish a book of a specific length, than to publish one that is longer. It costs money to proofread a book twice the length of another. It costs time and money to have an editor work scrupulously with an author to condense their book down to an acceptable word count. It costs a great deal of money to actually bind books. All of these costs can be drastically reduced by a writer demonstrating a professional respect for the guidelines outlined below. Literary / Commercial / Women's: 80,000 to 110,000 - These genres vary greatly in how their stories are told, but not in how many words are used to tell them. There are few exceptions of published debut novels not falling between these strict markers. The adherence to this is never more tested than when a writer pushes the limit to the full 110k or beyond. The upper marker is still accepted but will almost certainly be cut by an editor should the writer secure a deal. A literary agent will always look more favourable on these genre submissions being around the 100k mark. Crime Fiction: 90,000 to 100,000 - The page-turning demands and competitive market enforce a word count which it is advisable to comply to. Mysteries / Thrillers / Suspense: 70,000 to 90,000 - The variation covers Cozy Mysteries which can clock in at just 70-75k, to noir and historical which are often published at 80-90k. Romance: 40,000 to 100,000 - Since it has many sub-genres this genre can vary greatly depending on the story. Regency Romance, Inspirational Romance, Romantic Suspense and Paranormal Romance all have a minimum of 40k. But for mainstream romance novels the parameters are between 70K and 100K. Fantasy: 90,000 to 100,000 - One of the few genres with some leeway in first approach submissions, since many literary agents know publishers who will happily accept 120K. This is not to say one should aim for that higher count. But if a writer queries with 110k it will not be rejected on word count alone. Paranormal: 75,000 to 95,000 - Although commonly entwined with other genres, standalone fiction in this genre is best when it is concise. Literary agents and publishers will allow flexibility when the story merits it, but for debut manuscripts it is best to refrain from anything above the industry standard. Horror: 80,000 to 100,000 - A writer must be as ruthless with their words, as their antagonist is with the lives within the story. For if a grip on the reader is lost by overly long descriptions and digressions, the very tension which drives this genre fizzles out. Never go beyond the 100k limit without first checking with a freelance editor for revisions. Science-Fiction: 90,000 to 125,000 - Encompassing many sub-genres results in a flexibility across the genre that is not often given to the others. Many publishers will accept works in the higher bracket and even beyond. While literary agents are open to submissions far below 90K, they will usually lean more towards those within the requirements because they know the devoted readers of this genre do not mind an epic read. Historical: 100,000 to 120,000 - A genre rich with historical events means writers are afforded the luxury of an extended word count. However, writers who edit down to a 100k submission increase their chances of being read beyond the partials. Young Adult Fiction (YA): 50,000 to 80,000 - This particular genre has become one of the hardest for writers to grasp when deciding on their own word count. This is due in large part to the variety of sub-genres within it and the trend for a book series with an ever greater word count. But for mainstream YA it is always best to stick to under 80K. New Adult Fiction: 60,000 to 85,000 - Coined by the industry for the industry meant the requirements could be defined from the outset. Going above 85K still happens, but those for that do, they are giving a literary agent an easy reason to reject them. Middle Grade: 25,000 to 40,000 - Such a tight restraint can be beneficial to a writer because it allows them to demonstrate their ability to edit accordingly. For debut books in this field the average word count tends to be 35K and it has therefore become the marker many industry professionals look for in queries from new writers. Picture Books: 500 to 700 - When this is applied it equates to one or two lines per page, for a 30 page book. The one main advantage this genre has over every other is that literary agents and publishers will accept the full text with the initial query. There is no need for partials. Novella: 20,000 to 50,000 - A story can be written in any of the other genres, but if its word count falls within these parameters it is usually classified as a novella. Non-Fiction: 70,000 to 110,000 - Covering a broad range of topics still sees little variation in the size of published books. Although there is not a requirement for the work to be complete before an initial query, this is the word count literary agents want projected and delivered. Short Stories: 1000 to 8,000 - Many contests will advise on their own maximum word count, sometimes as high as 20K. But those requests are extremely rare, as the majority will set a limit of 8K. Flash Fiction: 100 to 500 - There is no flexibility to this as the word count determines if it is Flash Fiction. There are many writers who choose the more difficult path of convincing publishing professionals that the parameters should be stretched beyond the norm and that their manuscript justifies a larger word count. Now regarded as classics, these debut novels had to be edited to reduce them to these published word counts. If editors had not taken a chance on these longer reads, their authors would not have had a single word in print. Instead, the rules were broken and guidelines were abandoned. Publishing houses made exceptions to enrich the lives of millions of readers. Receiving hundreds of submissions per year, makes it far easier for a literary agent to reject, than to accept. Agents ask for the word count in a query letter for a reason: if it is considered too high for the genre, they will often skip to the next query without even reading the premise. Failing to mention the word count, or committing the faux pas of stating the page count instead, will also see a quick rejection. Page count is determined by the publisher, not the writer. The binding, font and paper size establish how many pages a published book will be. As a result, a 100K manuscript can size up very differently on a shelf, depending on what printers the publishing house used. Hence why industry professionals never ask a writer for their page count, they only ever ask for the word count. The story always determines the genre, not the word count. A writer should never give a literary agent or publisher an easy option to reject them. By demonstrating a clear understanding of the guidelines it will at the very least, get their work read. During which time, an industry professional is looking to see if the writer has not just adhered to the word count guidelines, but they have shown a consummate skill for pacing, to make every word count.